The University of Akron is one of the premier universities in the Midwest and with over 150,000 alumni were looking for ways to engage alumni and ultimately raise donations for various funds. Combining a 5 Days of Giving Facebook app and a Crowdfunding Microsite from MSM, Akron was able to raise funds for three different campaigns that were close to donors hearts. 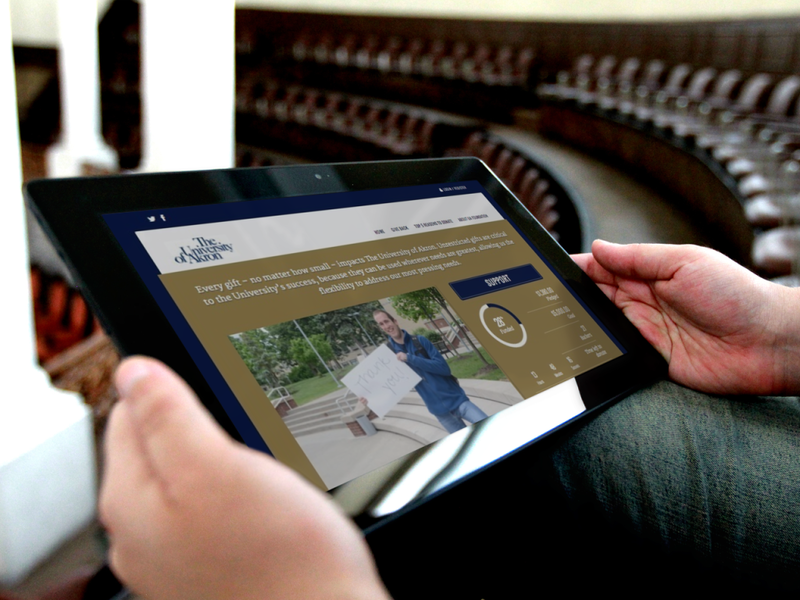 With the crowdfunding platform, the University of Akron was able to raise awareness about distinct initiatives and capture donations for each as a result. You’ve heard of Kickstarter, Kiva, and other crowdfunding platforms. There, people tell personal stories to inspire friends (and total strangers) to give to their cause. And it works – projects on Kickstarter have racked up a collective 5 million backers and raised nearly a billion dollars in just four years. How can you tap into this trend while keeping full control of your campaign? MSM’s alumni crowdfunding microsites do the trick. 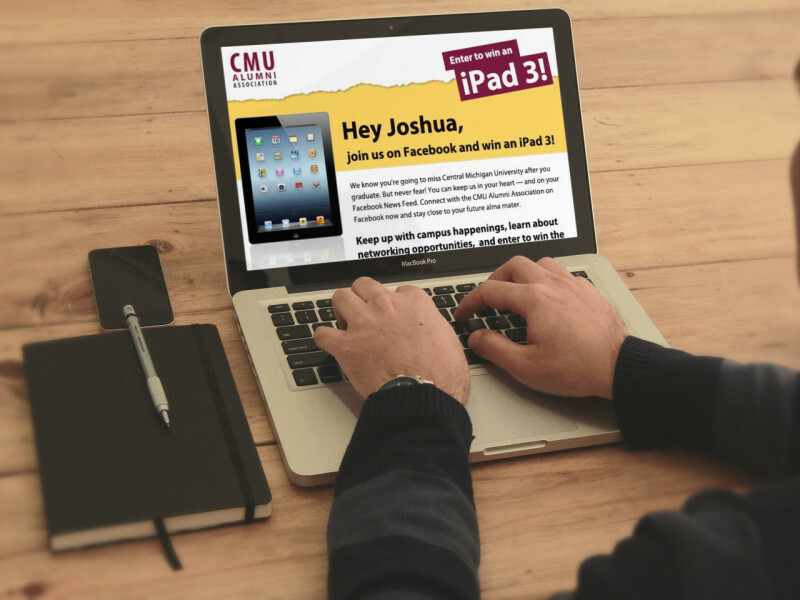 For the past two years, Central Michigan University has partnered with MSM, using our social marketing expertise to increase alumni donations and engagement. 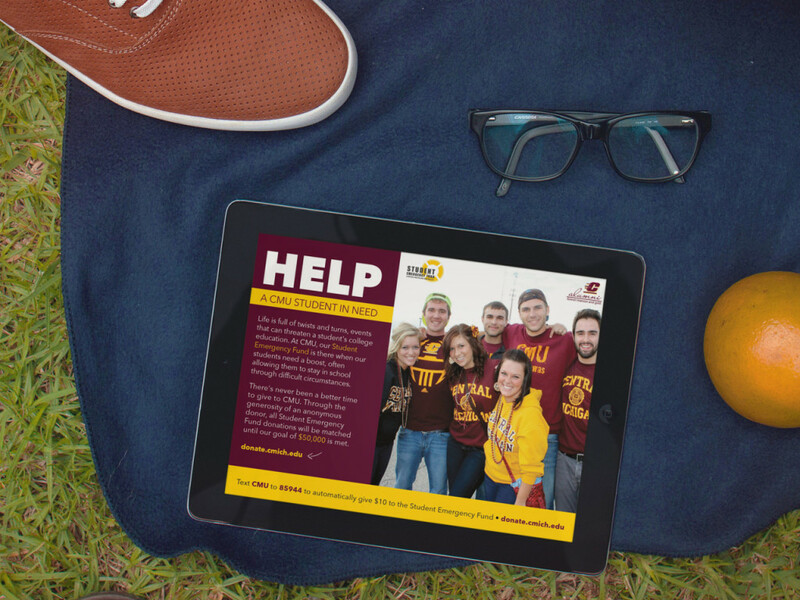 The CMU Alumni Associations’s Student Emergency Fund helps students get a financial boost in times of personal crisis, from family layoffs to medical emergencies. With a Donation Microsite and mobile optimized email marketing, MSM helped CMU increase alumni donations to the Student Emergency Fund and reach the campaign goal seven months early. The campaign continues through June 2014. 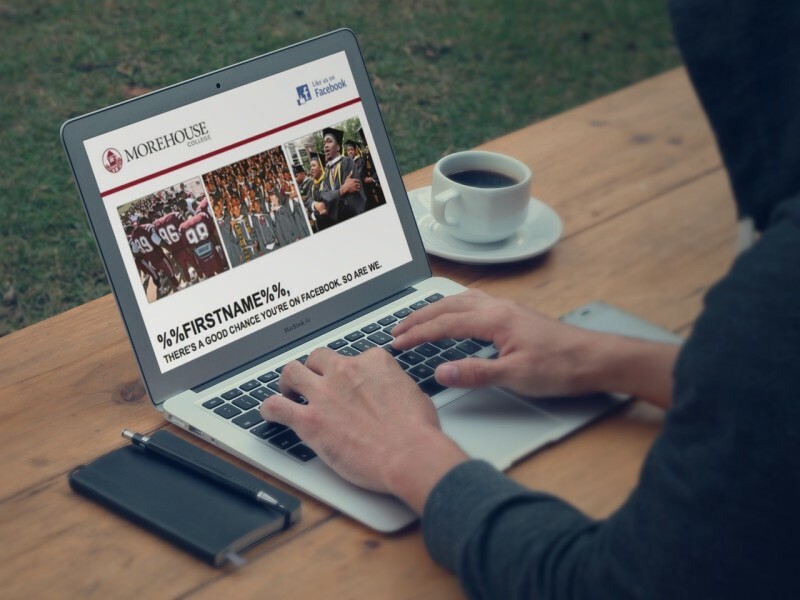 Take a look at your existing alumni website. How many clicks does it take to locate your giving page? How intuitive is the navigation? Does your giving form have a URL that matches your school’s domain? How many fields must a graduate or friend fill out before they click the “give” button? There’s a good chance your current process is throwing up obstacles to donors who would be more than happy to hand you a chunk of change online – if only you’d let them. Increase donations at the point of purchase via alumni mobile giving with MSM’s donation microsites.